Taking headshots wasn’t why I initially picked up the camera. I thought they were boring, simple and not interesting. 10+ years later, I have quite a different view on the headshot. A headshot is a photograph that realistically demonstrates a person’s appearance for branding or casting purposes. 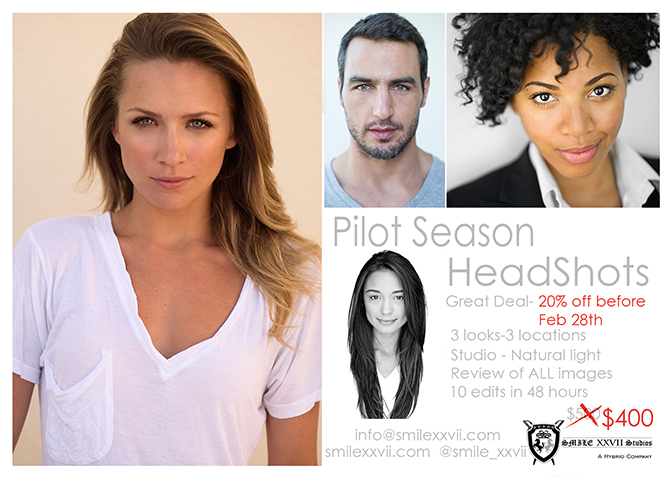 In Los Angeles, most people requesting headshots are actors and models. But the headshot is a useful tool for many professions. Whether it’s for entertainment, modeling or corporate: A great headshot consists of ideal lighting and a simple backdrop, which allows the viewer to focus solely on the subject’s facial features. What I’ve learned over the years is that capturing the headshot is an intimate moment between myself and my client. The intriguing persona of my subject brings to life the great headshot. I Listen to their story; finding something new and interesting about them that I haven’t seen in a previous client, and I capture it.